This week governments from around the world are convening in London to discuss the continuing humanitarian crisis in Syria – a description that hardly does justice to the extremity and gravity of the situation. The conference is focusing on securing future funding and addressing long-term needs such as protection, education and employment. In doing so, it is essential that the needs of all vulnerable groups are clearly addressed. Over the past five years, around 4.6 million people have fled Syria with little more than the clothes on their backs and millions more are internally displaced in Syria. Recently, much attention has focused on refugees arriving in Europe; however, the countries neighbouring Syria continue to bear the heaviest burden. Lebanon alone is host to more than 1.5 million refugees, now making up more than a quarter of the country’s current population. The strain on the economy is palpable, as competition for unskilled jobs intensifies and public services, infrastructure and resources groan under the weight of additional demand. Think of older refugees – they are too often overlooked, yet have specific vulnerabilities, such as long-term illnesses or disabilities, and are less able to compete for what manual work is available. Over 54% of this group suffer with at least one chronic condition, most commonly diabetes and hypertension. This high prevalence of chronic diseases within the older refugee population is adding strain to the already overburdened healthcare system in Lebanon. Badreya is one of many older Syrian refugees facing these challenges. She fled to Lebanon with two of her sons, who are able to earn enough money to pay for shelter and food. Unfortunately, treatment for her hypertension and diabetes is expensive, and Lebanon’s highly privatised health system is inaccessible without help. Age International partners are working to support older refugees like Badreya and Lebanese people through clinics offering screening and free treatment for hypertension and type II diabetes. 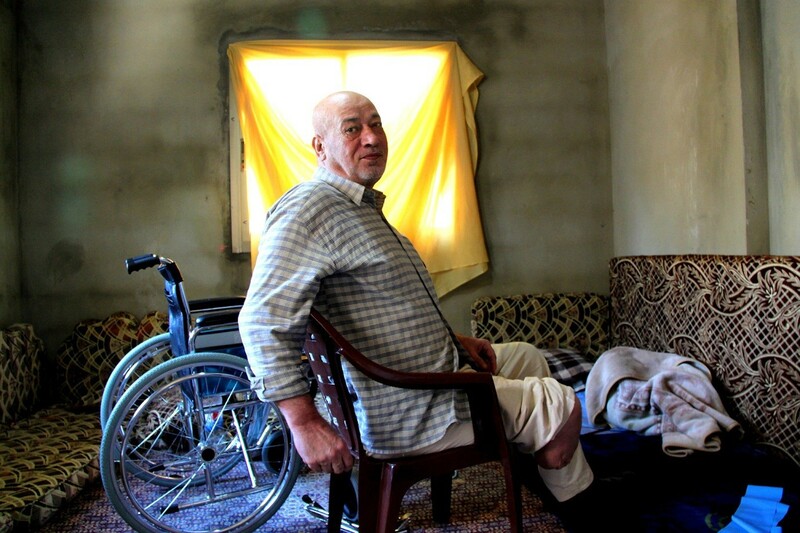 The situation for older Syrians still living in Syria is even more stark. Medical treatment of any kind is scarce and drugs for chronic diseases are just not available for many. Older people are generally less likely and less able to make the long and difficult journeys that are needed to find refuge, and many simply cannot face the thought of abandoning their homes. Many older Syrians have little to no support network left as younger family members and carers have fled, leaving them unable to access essential supplies and services, and also leaving them vulnerable to violence and abuse. As global leaders meet to pledge funds and demonstrate, once again, their commitment to those affected, donors need to ensure that all vulnerable groups, including older people, are fully included. Ban Ki-Moon has previously commented that pledging conferences, like London 2016, ‘send a message of relief to the millions of Syrians who have been affected by this terrible crisis’. Our hope is that this opportunity will not be lost, and the needs of this too-often neglected group will be directly addressed.